2016 has been a huge year for online pokies. 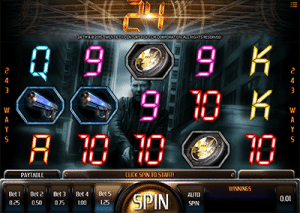 We’ve seen such ground-breaking releases as the NetEnt Rocks collection, plus plenty of outstanding games from new software developers on our radar, like Quickspin and Thunderkick. But amongst the diamonds there have definitely been a few duds – check out our selection for the biggest pokies fails of the year. 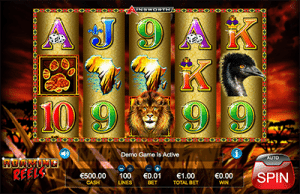 Microgaming is one of the largest and most well respected software developers in the online casino business, but some of their pokies releases during 2016 really didn’t hit the mark, causing this brand to fall behind names like NetEnt and BetSoft. Microgaming seems to have a generic game template, which would have been an okay format back in the day, but not now in 2016 when competition is rife and players expect more. Pretty Kitty is the perfect example of this – while it might have huge appeal to cat lovers, the game looks like it could have been developed years ago. The use of font and background design looks like something a high school student would design on a PowerPoint presentation, and the low-paying gem symbols look like they were pulled out of a clip art file. While the graphics really aren’t that bad, Pretty Kitty fails in that it’s obvious Microgaming threw it together without much thought. It’s a generic game, which has been given a 243 Ways format in an attempt to make it more appealing, and there’s no unique bonus features on offer. 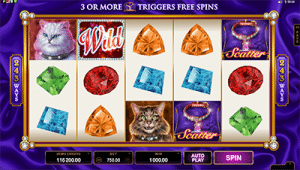 It does contain free spins and stacked wilds, which is the only saving grace for this otherwise dismal game, but we know Microgaming is so much better than this and it’s a shame to see them losing their touch. There’s a reason Ainsworth pokies don’t make it to our list of leading software developers, and Roaring Reels is the perfect example. From the moment this game loads you’ll feel like you’re stepping back into the pre-2010 days of online pokies, as the style and design are so outdated it’s hard to believe it’s a product of 2016 technology. The reels are made up of a combination of cartoon 10, J, Q, K and A symbols, plus more realistically designed animals, some African, some Australian, so the theme doesn’t entirely make sense. The payscale information looks beyond outdated, and there are no bonus features to speak of, not to mention the RTP is only 94%, which is amongst the lower on the online pokies scale. This pokies game from iSoftBet is not a fail in terms of its design and features, as it’s actually an impressive offering with cinematic grade animation and plenty of thought going into its unique bonus features. It makes our list because the theme just seems so bizarre. Granted, 24 is a popular television show, but popular enough to be made into an online pokies game? We understood Microgaming creating a Game of Thrones pokies game, and NetEnt forming a South Park partnership, but the story of Kiefer Sutherland as a Counter Terrorist agent seems like an odd choice. It keeps in tune with many of iSoftBet’s movie themed pokies, which includes such obscure titles as Nacho Libre and The Love Guru. 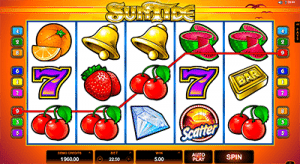 SunTide is another Microgaming title that really did not hit the mark this year. Sure, we can kind of see where they were going with the idea of turning an old-school fruit style slot into a more modernised five-reel game, but once again it seems like they just whacked some symbols into a template and hoped no one would question the sheer lack of thought or effort that went into it. It’s a vibrant and eye-catching game, but the overall design is clunky and there’s really no place for such an underwhelming effort in 2016. The only bonus features are standard free spins and an expanding wild, and in this day and age, if you’re going to release a game as unoriginal as SunTide, the least you can do is pack it with some unique bonus features. 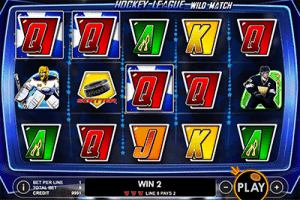 Pragmatic Play has released several good pokies this year, but unfortunately Hockey League Wild Match is not one of them. While it definitely isn’t the worst game, it looks more like an old arcade game you’d find at a pizza bar, but not in an intentional way. The reels are filled with blocky, 10, J, Q, K, A symbols that start flashing in a distracting, epileptic fit inducing manner when a win is placed, while the one-dimensional hockey player symbols are on the dull side. Like all the other games on this list, Hockey League contains no unique bonus features, simply the inclusion of standard free spins and random stacked wilds, which offer some decent winning potential but do nothing to increase player engagement. We love Rival’s pokies, but something about Rise of Poseidon just doesn’t cut the mustard in 2016. This game could have been really impressive a few years ago, but amongst all the incredible new releases from other leading developers, rise of Poseidon looks a little outdated and there’s something that plays a bit stiff about this game. We like what Rival was going for with setting the reels directly on the sea, and the graphics certainly deserve some merit, but we’ve seen what Rival is capable of and it’s far beyond this. 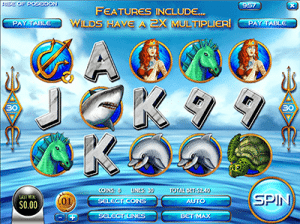 The game comes with free spins and stacked wilds, but it’s just not enough to make up for the cut-rate overall feel of the game. To try these games and plenty of other leading titles, ee recommend checking out Raging Bull Casino, our top-rated casino site for players from United States, which has some excellent welcome bonuses available for new players along with hundreds of real money pokies to choose from.